Have you ever spotted trees that feature your family tree or has it happened vice-versa? If not, try to observe them at your grandparent’s house. Probably the downtown holds trees in greater numbers. In the hot summer, they give shade to many young ewes and lambs from the blazing Cork sun. They evade the drenching showers while many take refuge under that canopy. Okay, let’s stop straying whimsical for a while. 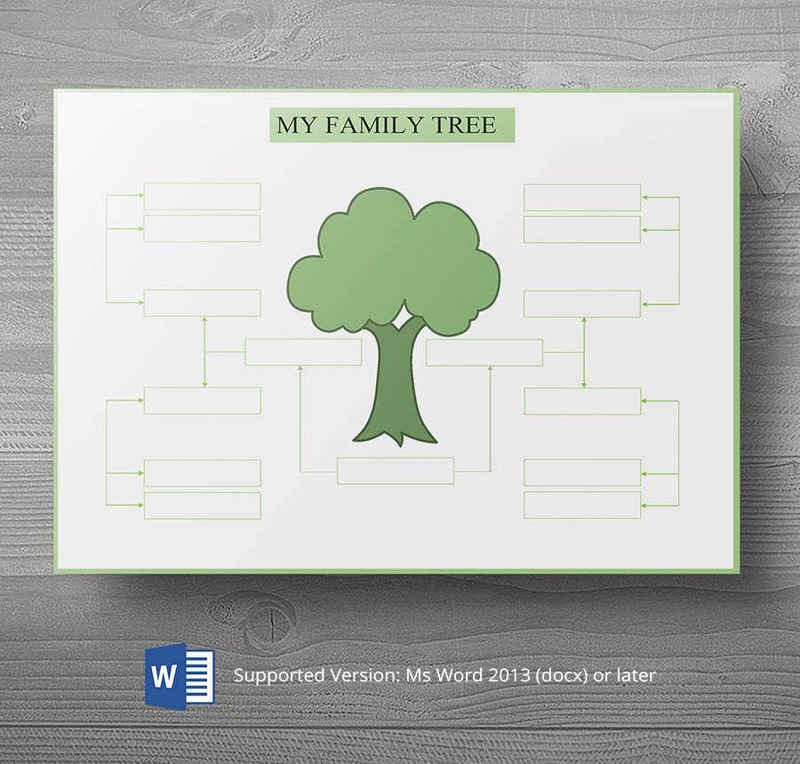 You can bring down those large branches, stems, and trunks to a family tree template. 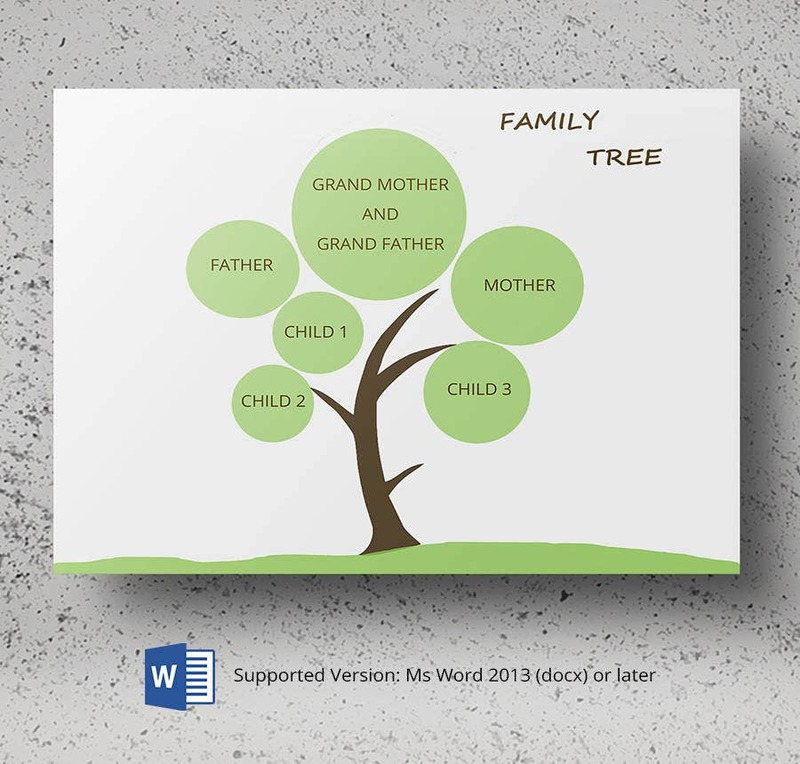 My Family Tree is a simple yet decent three generation family tree template available in Word format. All the elements in this basic flowchart are editable including the size, shape, and the position. This Family Tree Template comes with an expanding and extended view. 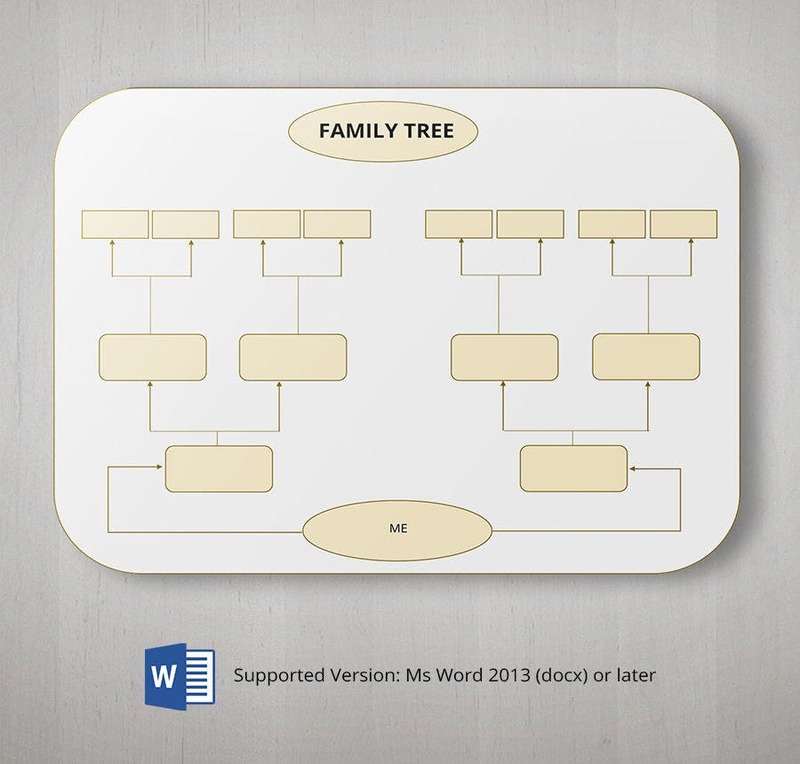 The flow chart clouded around the tree allows you to depict your extra large family in a beautiful way. 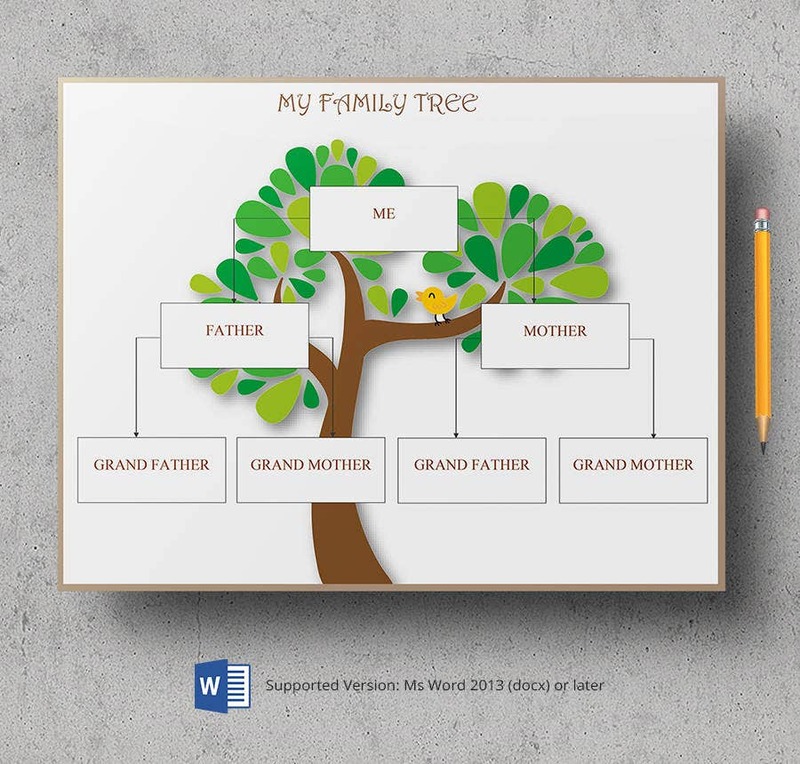 This inversed Family Tree Template helps you detail not only about your forefathers, but also the four generations in a row. The connectors are so flexible that you can reroute them the way you want. Is there any family gathering around? This flow chart is specially designed for family trees and using it for your family reunion is a cool idea. Have a mix and match with oval, rectangle, and/or square shapes. 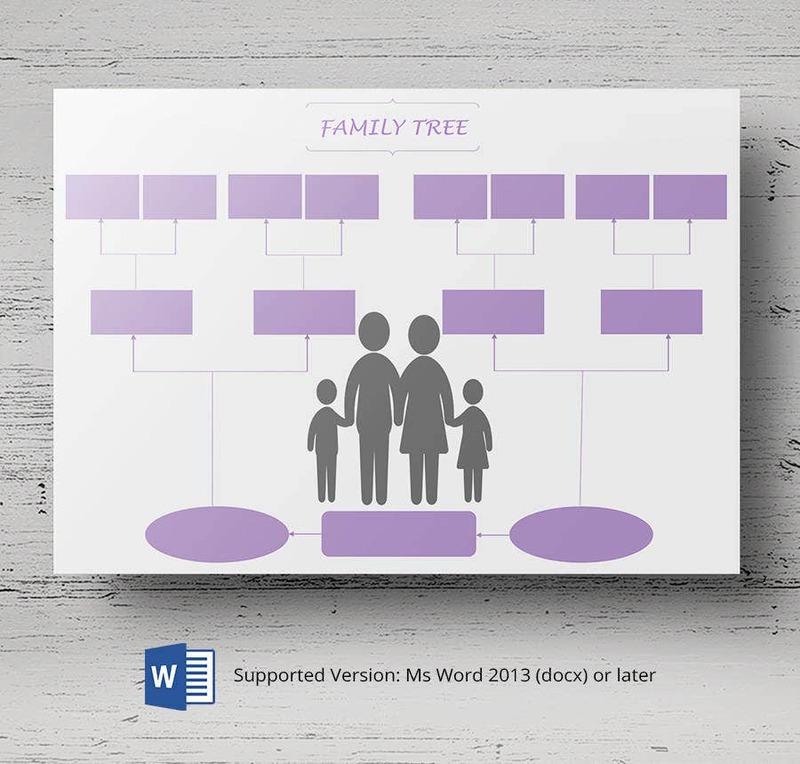 If you are looking for something other than the routine and regular flowcharts, then this Family Tree Template is the best alternative. Don’t look for logic. This childhood memory surely makes you nostalgic. This gray colored Family Tree Template comes with a horizontal flow chart. The representation unfolds the family relationships in a beautiful way. Needless to say, it’s a gifted one for nuclear families. This Family Tree Template is another variation. The sticky notes around the tree enable you to write down the names of your kids. Fill it, get it printed and frame it for future references. 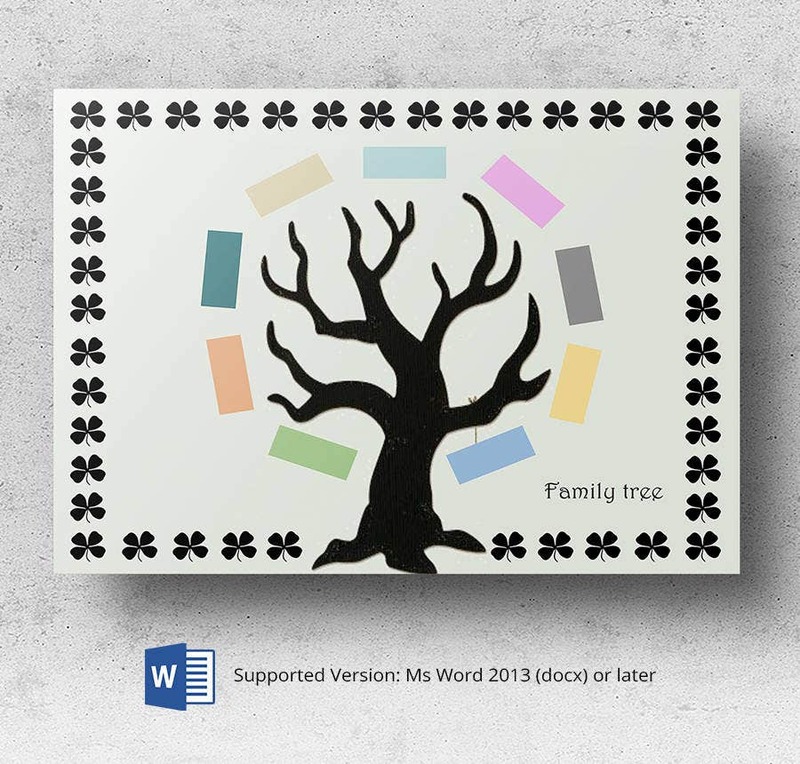 The last Family Tree Template in this section is a bit up gradation of the previous one. The leafless tree with colorful sticky notes helps you bring the dead family tree back to life. Nearly all these templates can be used in two ways. You can either 1) download, edit, and print a chart, ready for completion by hand, or 2) you can download it to your computer and fill in the blanks on-screen before printing it. 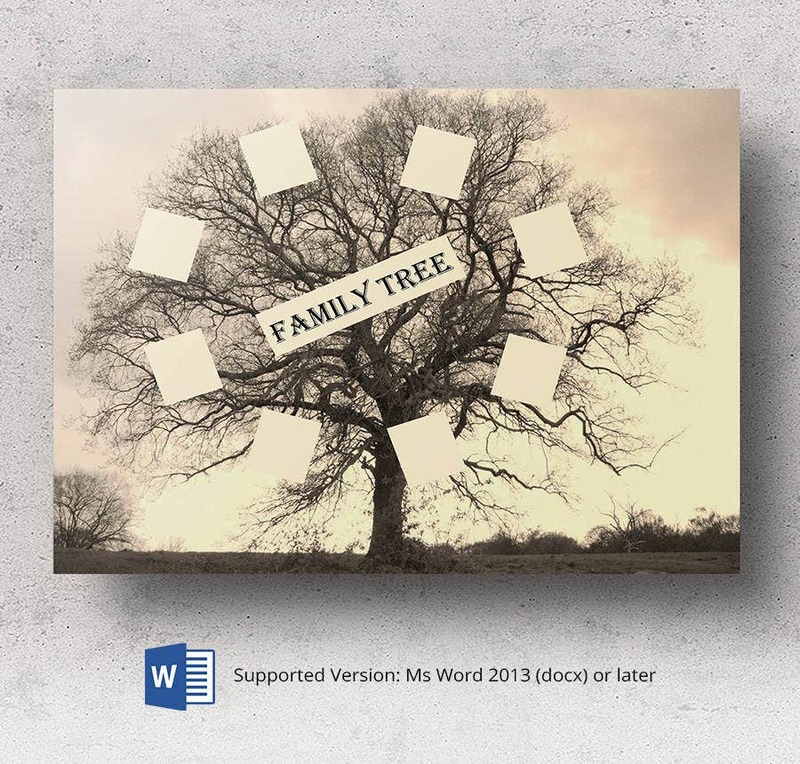 With the latter format, you can save your work at any time and print it when you’re ready; these family tree templates are coded with a rather elegant font, so they look very smart when printed. 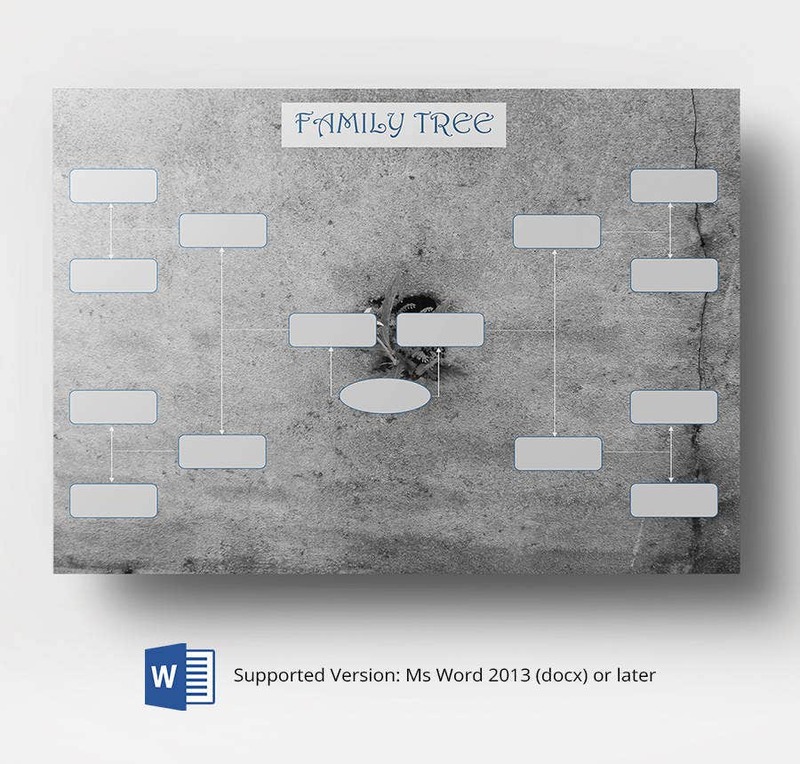 You may also see 5 Generation Family Tree Template. As discussed in the above paragraphs, the bundle gives you the luxury of choosing your desired format from multiple templates. After all, there is no harm in downloading them for a demo to your kids on one Sunday. After all, knowing the ancestors and descendants is more important than any toon flicks. Walk the templates to rediscover your valuable family heritage and identity.